NatureGood's All Natural Soft Chews are packed with essential nutrients in an exclusive formula that is made with a special no heat process to ensure your dog receives all the benefits from our unique and powerful ingredients. Whether you have an active dog or you have an older dog who may be starting to slow down, start your dog on the path to long term health with NatureGood and keep that tail wagging. If only you could get the rest of your family members to snack this nutritiously! 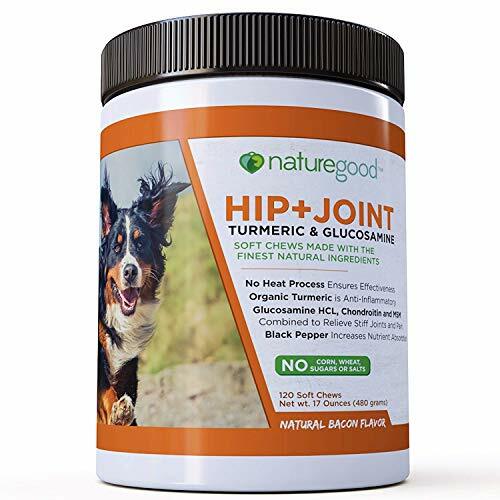 Organic Turmeric natural remedy to treat dogs with stiff joints. Contains the active ingredient curcumin which has been shown to have: anti-inflammatory, antibacterial and pain-relieving properties. If you have any questions about this product by naturegood, contact us by completing and submitting the form below. If you are looking for a specif part number, please include it with your message.